Packaging Your Summer Fun! - Papertec Inc.
← Will Genetically Engineered Trees Impact the Paper Industry? It’s been a fantastic summer and thankfully it looks like we still have a bit of sun to enjoy before the season turns to Fall. After walking around our homes and work-spaces in the last few weeks, we have been noticing all the colorful packaging and wrapping paper for many of the food products that we eat on a weekly if not daily basis, and we realized that we haven’t shared our fun summer side with our readers! When it comes to food packaging, there are so many types of specialty papers that can be used to protect and keep the products safe and fresh. But also…they can help make the products fun! Everything from glassine paper, to waxed paper to parchment paper are used by many of our clients. With features such as; siliconized parchment papers on one or two sides, greasepoof papers in a variety of colors, FDA approved for food packaging and various roll widths, diameters, core sizes and die cut pieces there is little that we are not able to offer you. For example, what is the first thing you think of when summer comes to mind? The beach, of course! 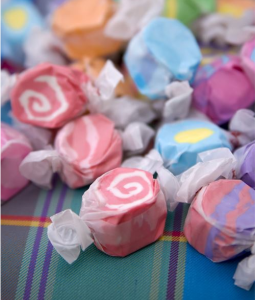 We have a large client base on the Jersey Shore with people who make and sell taffy, chocolates and other summer beach-time treats. 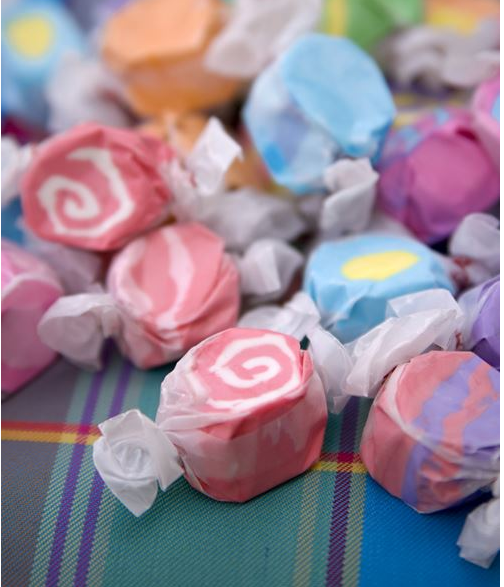 We love working with our independent mom and pop candy stores, because we get to show our fun side. We also LOVE sampling all of the products that we get to help our customers produce! This entry was posted in Paper Packaging Industry, Papertec Inc, Parchment Paper, Specialty Paper and tagged FDA approved packaging, Food Packaging. Bookmark the permalink.